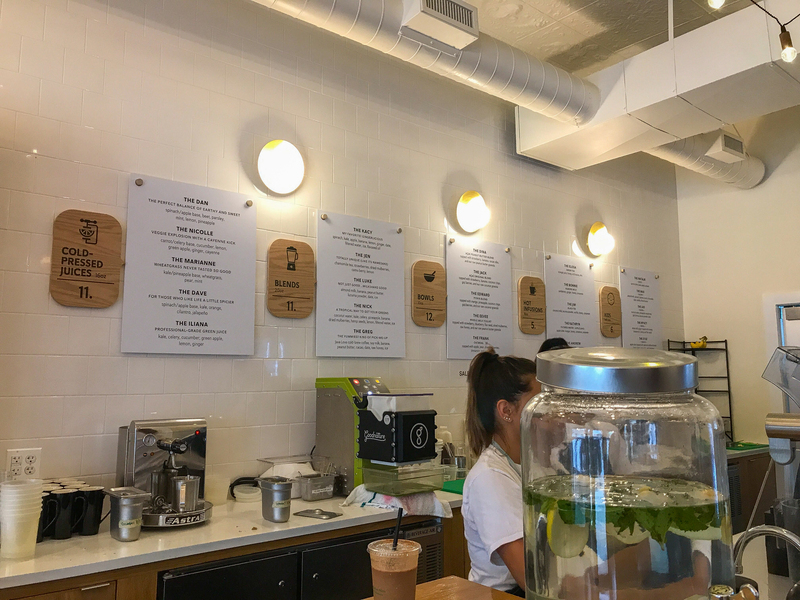 Juice Culture, a juice bar that specializes in healthy cold-pressed juices, smoothies and acai bowls has become the latest addition to Montclair’s plethora of high quality eateries. There are many things that one could miss about New York City: the lightning paced bustle of everyday life, walks through Central Park in the Autumn, or even the hot dogs. One woman, Kacy Erdelyi, misses the nourishment available. Erdelyi, the creator and owner of Juice Culture, felt something was missing from Montclair when she made the move from Brooklyn. Erdelyi, a mother of two young children, wanted a place to snack and refresh on organic, healthy recipes as she had done in the many juice bars that dot the NYC streets. Kid-friendly play area. Photo by Eve Mahaney for The Montclair Dispatch. After forming an idea for a local juice bar with her husband, Erdelyi started researching ways to actualize her idea. Erdelyi has a masters degree in psychology and spent 16 years in the advertising business. It is clear that she has an apt understanding of what the public wants and how to give it to them. The store itself is beautiful. Natural light pours in from the windows that overlook Valley Road, making the store bright and warm to be in. Erdelyi says she hired a designer in Los Angeles to decorate and design the interior of Juice Culture, which is dazzling in its modernity but satisfying in its homeyness. Erdelyi also wanted to make the store accessible for all – including mothers with young children, like herself. There is a children’s play area next to the seating that is perfect for young kids accompanying their parents. The menu, while not completely unique in blends, mixtures and ingredients, is very accessible and easy to order from. Juice Culture’s menu. Photo by Eve Mahaney for The Montclair Dispatch. The menu includes a selection of 5 items from each category – bowls, blends and juices. There is also a menu for children. I was lucky enough to try a bowl filled with fresh yogurt, fruit, honey and seeds. 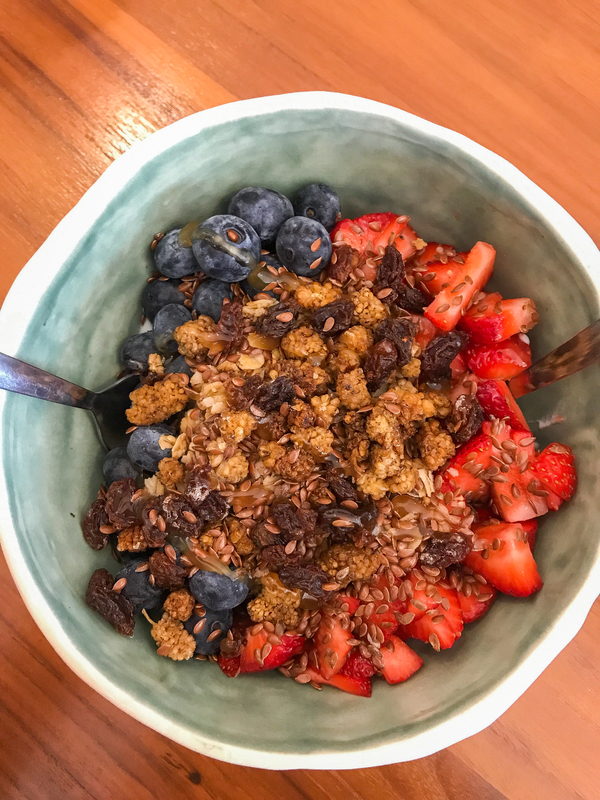 As somebody that is not one to pick out healthy eating for a snack, I could have eaten many of those bowls – and intend to. Erdelyi has a knack for innovation, and an example of that can be found within the interactive nature of the menu. Erdelyi explained that in an effort to encourage creativity and uniqueness to each customer’s order, you can “create” your own menu item that will be stored in the system. For example, if I wanted to replace the lemon with lime, take out the peanut butter and add spinach to a drink, I could do that, and that specific order would be saved for the next time I go to Juice Culture. A simple way to ensure that customers feel as though they can always get exactly what they want. Juice Culture is also available to be ordered online. The “EEVEE” bowl. Photo by Eve Mahaney for The Montclair Dispatch. Juice Culture feels like something Montclair has had for years. The friendliness, the cleanness, the commitment to quality – it exemplifies aspects of Montclair itself. 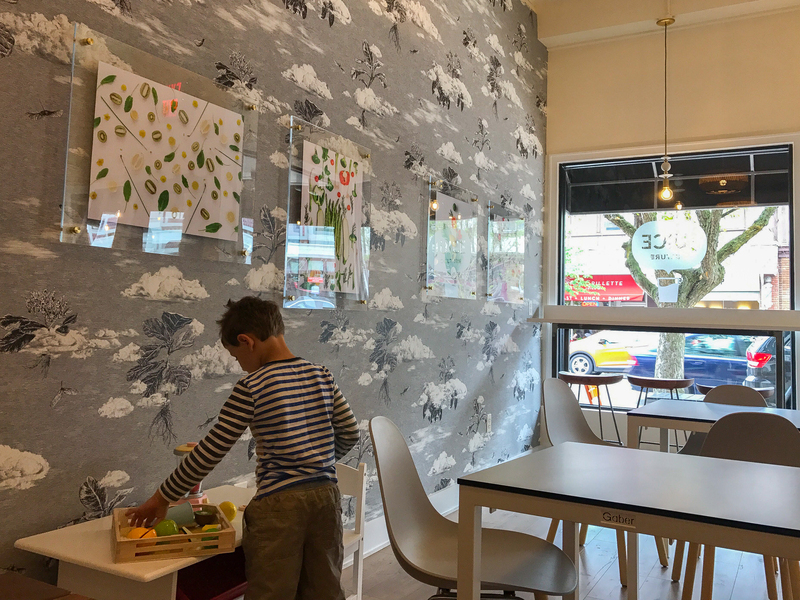 Erdelyi has put considerable effort into making this healthy hub seamlessly slide into Montclair culture and cuisine. She has done so successfully. Juice Culture is located at 617 Valley Road in Upper Montclair, NJ. As of right now, their hours are: Monday-Sunday 8:30 AM-5 PM, and closed Sundays. Juice Culture can be reached at 973-337-5955 or hithere@juiceculturenj.com. To subscribe to The Montclair Dispatch, click here. If you are looking to advertise in The Montclair Dispatch, click here.